Fat Acceptance tells us that picking two skinny parents is the secret to being thin. Nice try, but the nitty gritty details of fat gene data, just don’t bear this out. When examined closely genetics aren’t the scapegoat that Size Acceptance advocates would like them to be. We inherit a lot more than genetics from our parents, like eating habits, cooking styles and sedentary lifestyles. The obesity epidemic is real. Kate Harding likes to type “booga booga” after the phrase, she may think this is cute, but it doesn’t make the massive number of people afflicted with diabetes go away. Obesity has skyrocketed in the last 25 years. The genetics of a population don’t change in that short of a time frame. Examine this time lapse map and you can not possibly conclude that people’s inherited metabolisms are causing this. It is high time that people starting hearing the truth about just how little net effect genetics play in the role of obesity. We can’t let the “Health at Any Size” crowd preach their genetic defeatism message without some factual challenges. That is exactly what I am going to do, right here on this blog! 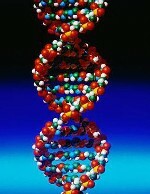 Another great article, deflating the Fat Gene Myth has been republished over at http://www.myfatspouse.com with permission from Micheal Fumento. Great post! When I first found out how little difference genetics makes in the overall grand scheme I was shocked. Clearly lifestyle plays a large role. Our genes have changed very little over the past 200,000 years. What has changed is the increased availability of cheap, high-calorie food and labor saving devices which make it easier for people to consume more calories while burning less. While a person’s genes may make it easier for them to gain fat, it is the choices they make and their behavior – overeating and lack of activity and exercise – that causes the fat gain. Time had a very good article a month or so back on the child obesity epidemic and what it means for the rest of society as they age. It really is more than just genetics. It sounds like you haven’t done a whole lot of research on the genetics of obesity. The MC4R gene codes for a receptor in a chemical pathway that plays a major part in controlling satiety. If your body can’t produce MC4R receptors, you brain will not get the signal that you’re no longer hungry. Remember the obese leptin-deficient mice from highschool bio textbooks? The MC4R receptor is part of the pathway that processes leptin. Normally, you have two copies of that gene. If only one copy of the gene has a defect, you’re going to process about half the leptin a normal person does. If you have two defective copies though, you’re going to process very little leptin (a very small amount gets processed in other ways). Scientists still aren’t sure exactly how the protein FTO codes for effects the body. But, like MC4R, it effects BMI and satiety, particularly in young people. I’m not sure about MC4R’s effect on metabolism, so I can’t tell you if it effects fat storage or burning. But I can tell you that if you’re homozygous for a MC4R or FTO mutation, you’re faced with the choice of eating more than most normal people, or being hungry all the damn time.